Will You Make These Mistakes? It is true that using hypnosis in Atlanta can help you improve your life in many different ways. For example, hypnosis is an effective way to help you lose weight, stop smoking, sleep better or to let go of anxiety. People are also using hypnosis in Atlanta to become better students and ace their exams.Athletes are using it to significantly improve their sports performance. However, you can make some mistakes when using hypnosis that will cheat you of success. The biggest mistake people make is not preparing themselves to choose the best hypnotist they can to help them with their issue. A little preparation can go a long way in making sure you do not waste your time and money on working with the wrong hypnotist. One of the first things you need to be aware of is that there is no such degree from an accredited university in N. America that will entitle someone to call themselves a Doctor of Hypnotherapy. If someone feels the need to promote themselves with such a title it can be a flashing red light that all might not be well with the way the hypnotist is promoting themselves. In fact, you still need to use caution even when you read that someone is a “Certified Hypnotist.” It would be a mistake to assume that because they are certified they have reached nationally recognized standards in the course of their hypnosis training. Or even that they have passed an examination in order to become certified. 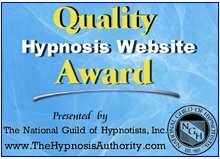 The reality is that there are no nationally recognized standards for the certification of hypnotists. When you speak to someone who is certified they may have received the best hypnosis training possible. However, going by the title alone, they may also have only attended a one weekend workshop on how to hypnotize someone and opened up for business the next week. It would be a mistake not to find out which organization or individual provided the certification and what they had to do to earn it. Some times you will see that a hypnotist offers a “guarantee” with their sessions. It would be a mistake to make assumptions about what that guarantee really means. Notice that other people in the helping professions such as doctors and psychologists do not offer guarantees with their work. This is the case however well trained they may be. The guarantees are not offered for good reason; it is unethical in most cases. Nobody else, including a hypnotist can control someone else's behaviour. It does not matter how good the professional is at their work, if the client or patient does not follow the instructions given they are unlikely to be successful. To imply that you can guarantee a specific result is just not possible because success depends as much on the client's participation as it does the hypnotist. You need to learn how to read the fine print if a guarantee is being offered. 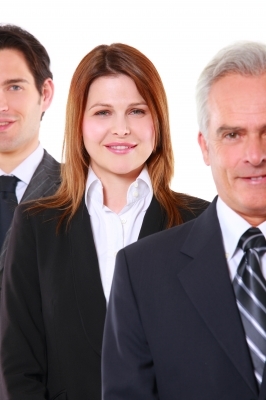 Help is available if you are looking to work with a hypnotist to help you improve your life. 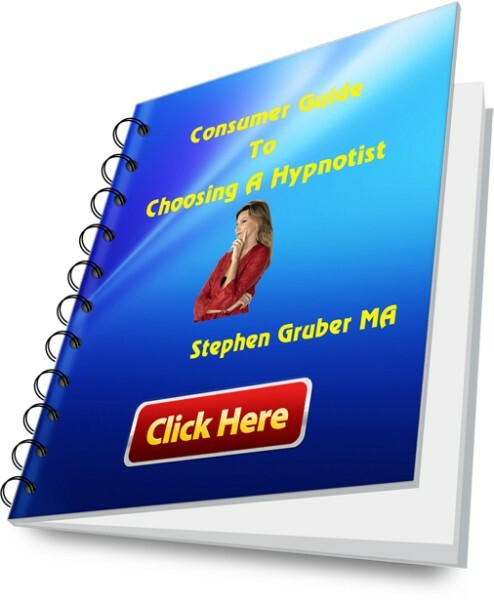 Learning how to avoid the pitfalls when selecting a professional hypnotist is made a lot easier if you first review the Consumer Guide to Choosing a Hypnotist. This guide is available for free. In it you will find over 12 important questions to ask a prospective hypnotist you are thinking of working with in Atlanta. Just as importantly it helps you understand what might lie behind the answers you get. Go check out the guide now because it will save you time and money and help set you on the road to success! Return from Hypnosis Atlanta Georgia to the Hypnosis Directory here. Return from Hypnosis Atlanta Georgia to the Home page.